The Huh? 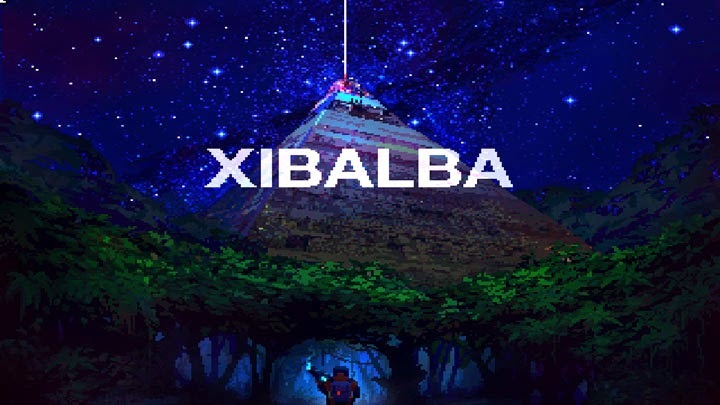 : Xibalba Review: Simple Pixely-Shootin' Goodness! 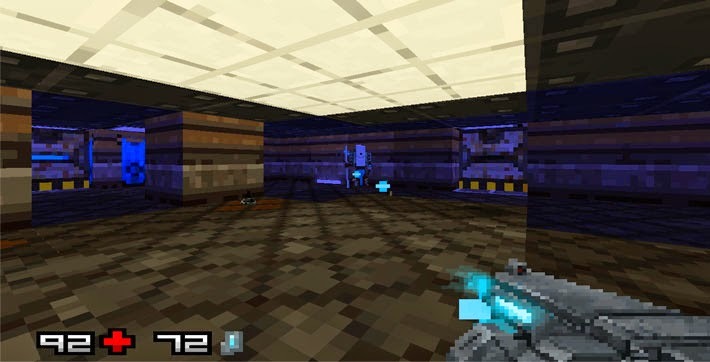 Xibalba is an FPS game designed by PhobosLab for the 7 Day FPS competition, but hadn't gotten completed. Luckily enough for us it has been finished and is now playable in browsers or on iOS devices. Any fans of the old shooters like Doom, Wolfenstein, or Zero Tolerance should feel right at home here. It's simple enough- you start with an energy gun, and must fight your way through 6 levels of various enemies including natives, aliens, robot turrets, and a Boss fight through a pretty decent story that could easily become a short sci fi movie classic. The arsenal can be expanded to include a shotgun and a rocket launcher, and the energy gun can replenish it's ammo by either waiting for regeneration or by picking up clips. Health can be restored with varying sized health packs. You really don't need to worry about anything other than running and gunning, and the game is that much better for it. Color and tone drastically change the atmosphere of each location, the sound work is very impressive, and the game is all-around fun to play. I definitely recommend this game for a couple hours of entertainment.